In other offices,clerks dealt with the inflation problem by removing the "k" for "kopeck" on the machine and inserting a "p" for "ruble". 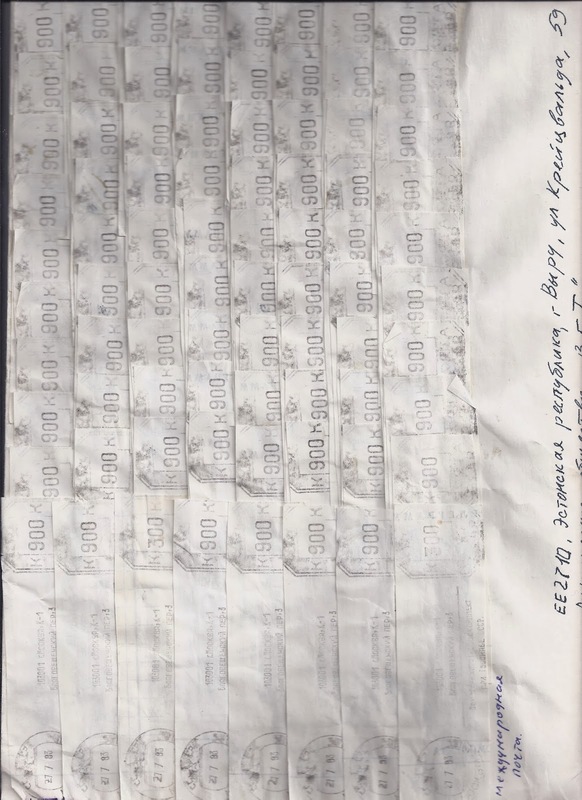 In this case, the franking could then have been applied by using just one label. This is by no means the most exotic item you could find from Russia's 1990s inflation.